Long-Term Care: Managing Across the Continuum, Fourth Edition is an ideal introduction to management in this industry. Adopted as a reference for the national licensing examination prepared by the National Association of Long-Term Care Administrator Boards (NAB), this book covers the full continuum of long-term care. 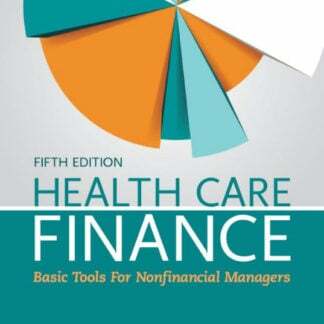 The Fourth Edition is a thorough update that offers a new chapter on the Affordable Care Act (Obamacare), with a particular focus on its impact on long-term care. All other chapters have been updated with the latest changes in regulations, financing methods, forms of service delivery and management methods in this dynamic field. The chapter on Leadership and Culture Change has been separated into two distinct chapters: Leadership in Long-Term Care and Culture Change in Long-Term – each with expanded information. The Fourth Edition is a thorough update that offers a new chapter on the Affordable Care Act (ACA), with a particular focus on its impact on long-term care. All other chapters have been updated with the latest changes in regulations, financing methods, forms of service delivery and management methods in this dynamic field. The chapter on Leadership and Culture Change has been separated into two distinct chapters: Leadership in Long-Term Care and Culture Change in Long-Term – each with expanded information. Our practice exams are specifically designed to test your knowledge of the Nursing Home Administrator’s Exam (NHA) as provided by NABWeb.org. LTCExam.com is not affiliated with NABWeb. Our practice questions and exams are original content and may simulate the federal Nursing Home Administrators exam, but does not contain questions from the actual exam.